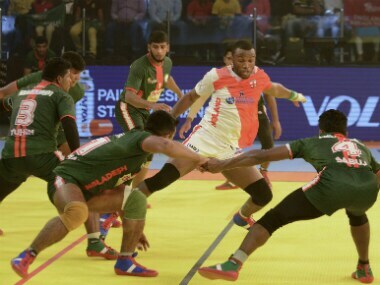 Ahmedabad: England may not be among the traditional powers at the Kabaddi World Cup, but Temi Tope Adewalure insists that his team is in with a chance to win the title at the ongoing edition. "Our aim is to win. We are actually the underdogs coming into this competition and we are going to put our best foot forward. This is such a great platform and a new experience for all of us, but we are focused on winning. "As for our chances, the team has a fantastic balance. 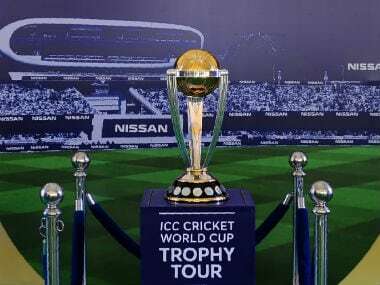 We just need to hold on to that balance, play to our full potential and we'll be unstoppable," the England player told the official website of the 2016 Kabaddi World Cup. "I think it's the passion among us for kabaddi. With passion as our weapon, we are capable of showing the world we could be a force to reckon with and use that as our motivation to do well in the 2016 Kabaddi World Cup," Adewalure added. "It's an honour to represent your country. We've got a tightly knit team who share a good understanding with each other and I'm really excited to play with this team." England lost to Bangladesh by a substantial 18-52 margin in their opening clash of the competition. But they bounced back with a convincing 69-25 win over Australia. Adewalure was the star for England during the clash against Australia with 27 raid points. With England next facing Argentina on Friday, Adewalure asserted that he is looking forward to continuing his run of good form. "I like to think of myself as an all-rounder. Personally though, I like to attack, especially with my quick feet movements. I look to bag a couple of points for my team and I think that would be beneficial," he said.